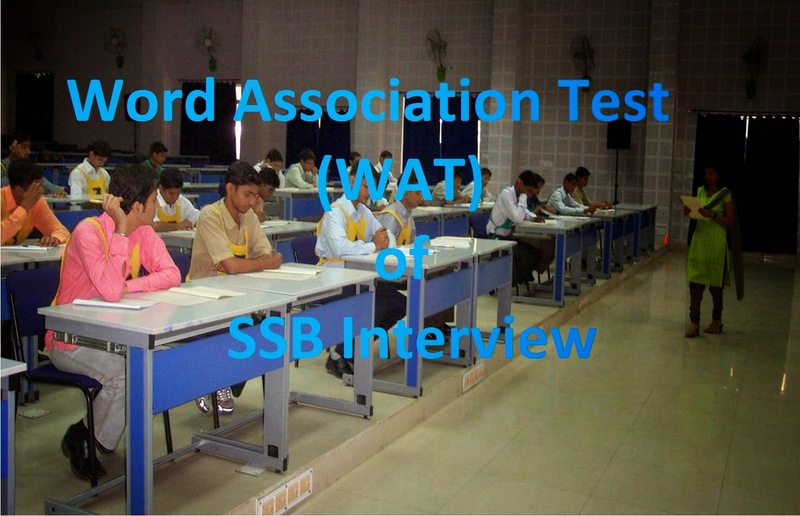 Want to know how to top WAT exam in SSB interviews? Word Association Test can help you crack SSB if you follow few simple tips. Read on best tips and tricks to crack WAT test of SSB interview. Word Association Test or simply WAT is one of the cool part of SSB interviews where candidates can score good marks and impress SSB board officers. In order to do this, candidates must know few important aspects on which marks are allocated. Here we have provided few do's and don'ts of WAT test. Peformance in WAT test will be key for cracking the SSB. In the WAT exam, all candidates will have fifteen seconds time to see the word and write a sentence on that word. You will be asked by SSB officials to write down the first thought that came in your mind after seeing the word displayed on the projector. So with a very limited short time, many candidates fail to cope up with the speed and eventually end up in answering very few words. So let us see how can candidates score good marks in WAT. Your sentence written on the answer sheet can fetch you full marks or negative marks or even you may get zero marks for the response. Psychologists of SSB boards arrange the words in a sequence which will help them to derive a conclusion about the personality of the candidates. If we see frequently asked words in WAT test, we can conclude that there are two types of words. One is positive words and others are negative words. So psychologists will mix up the positive words and negative words so that thinking of candidate from opposite angles makes his response as a natural one. Whatever the word given, it is better to write a positive response in the answer sheet will be the key to achieve top scoring in WAT. Here are some do's and don'ts for writing the answers. Think positive and write positive. Being positive is the main factor to reckon the interview. If you struck up for sentence or answer, leave a blank. Write down the answers beside their respective serial number only. Try to write answers in a good handwriting. Do write short and crisp responses where required. Keep your mind open and think broadly. Try to involve games / sports and out door activities in the responses. Be quick in recording your answers on the sheet. Don't write answers relating only to army or defence forces. Don't write down famous quotations or sayings or probers in WAT answer sheet. Don't think other matters when you are attempting the WAT test. Don't write mugged up responses. So follow these simple things and you will surely crack WAT test of SSB interview.